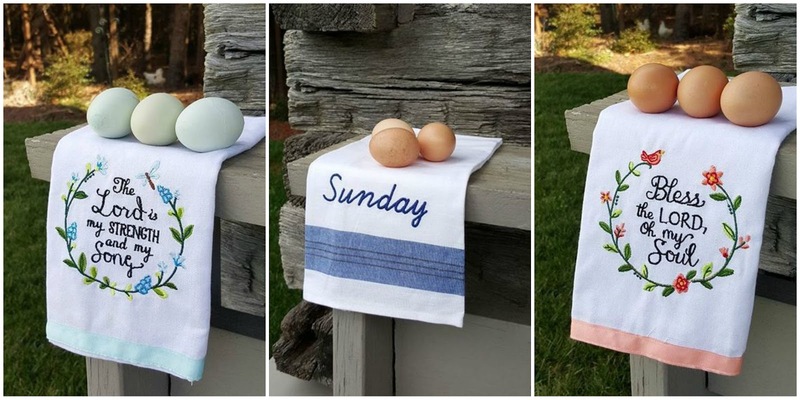 If you have followed Happy Days Farm for very long on social media, you have noticed that we have a healthy obsession with tea towels, a.k.a, kitchen towels or dish towels, as well as our fresh eggs. They both tend to show up in our photographs on a regular basis. We always have a basket of fresh eggs on the kitchen counter. Since fresh eggs, that have not been washed, can be left out of the refrigerator for up to two weeks, they have become a part of our kitchen decor, just like the tea towels. Tea towels have been around since the 18th Century in England, where they would be wrapped around tea pots to help insulate them, and used to catch drips before they landed on fine tablecloths. Tea towels were made of fine linen, and of course were lint free. This enabled them to be used to dry crystal glasses or delicate china. Of course, tea towels were elegant back in their day. This was an avenue for young ladies to demonstrate their embroidery work, as the tea towels could be designed to match the other table linens or even perhaps the china that was being used. So, this simple towel was very useful in all households, whether you were a commoner or royalty. In thrifty households, flour sacks would often be re-purposed into tea towels, so as not to waste a valuable source of fabric. Of course, this was a departure from the original linen material that was used, and the beginnings of cotton fabrics being incorporated. As time passed, as with most other linens, the towels began to be mass produced, and take on new forms. 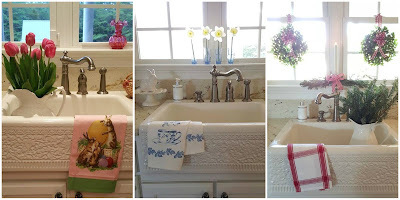 Currently, tea towels are primarily used as decorative tool. Many times, the fine linen towels are obviously not absorbent. 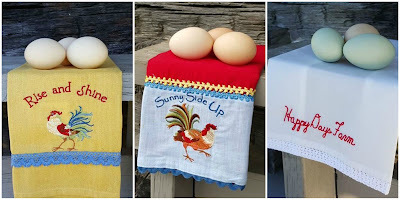 However, the idea behind the tea towel, and its ability to add a touch of whimsy and personality to a kitchen is undeniable. Most tourist stores include a tea towel with a city name or other local claim to fame. They an be found in ever color, with almost anything you can imagine gracing the front~ making it the perfect elegant or sassy gift.